Part 30 of our series "The Good King: A Study of the Gospel of Mark"
Part 29 of our series "The Good King: A Study of the Gospel of Mark"
Part 28 of our series "The Good King: A Study of the Gospel of Mark"
Part 27 of our series "The Good King: A Study of the Gospel of Mark"
Part 26 of our series "The Good King: A Study of the Gospel of Mark"
Part 24 of our series "The Good King: A Study of the Gospel of Mark". Part 23 of our series "The Good King: A Study of the Gospel of Mark". 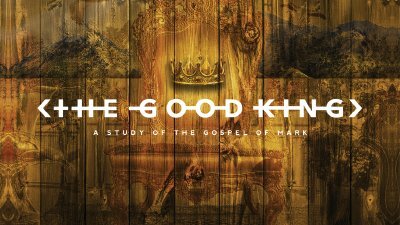 Part 22 of our series "The Good King: A Study of the Gospel of Mark". Part 21 of our series "The Good King: A Study of the Gospel of Mark". Part 20 of our series "The Good King: A Study of the Gospel of Mark". Part 19 of our series "The Good King: A Study of the Gospel of Mark".